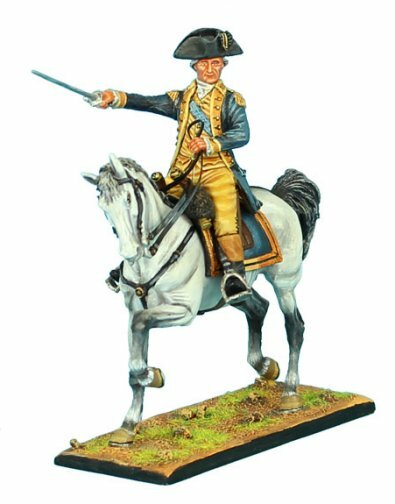 First Legion figures from the American Revolution are usable in Bunker Hill or Lexington Green displays, two battles that helped to define the course of the war. The colonials' war for independence begins in miniature! These metal toy soldiers are historically accurate and individually hand painted with astounding detail. 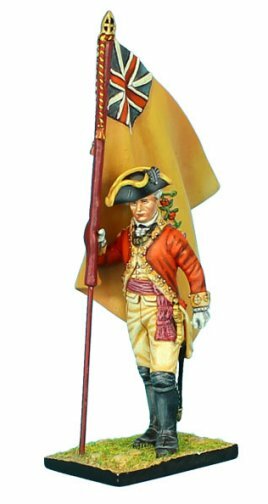 Choose from infantry figures, mounted personalities and dramatic vignettes. General George Washington, Lord Cornwallis, and other famous figures from history are available in this range. Not only the colonial army, militia and redcoats clashed, there were also native allies on both sides of the conflict. The British were quick to promise an end to settlers' encroachments in exchange for service to the king.